Which 2017 Plastic Surgery Trend is Right For You? Today, more and more Canadians are investing in the skills of qualified plastic surgeons to help them look and feel their very best. Learn all about the 2017 plastic surgery trends and which procedures might be best for you. Plastic surgery has become increasingly popular over recent years with a number of women and men opting for a variety of procedures to improve their physical appearance. However, working with a plastic surgeon can have more than just cosmetic benefits. At Peterson MD, we have a team of qualified and professional plastic surgeons who offer a wide range of cosmetic procedures from facelifts and breast augmentations to non-surgical, anti-aging skin treatments including Botox and chemical peels to help you meet all your aesthetic goals. 2017 Trends in Plastic Surgery - Which is Right For You? A breast augmentation involves the use of saline or silicone implants, or in some cases fat transfer, to increase the size of your breasts, achieve a more rounded shape and/or improve natural breast size asymmetry. One of the most popular and frequently performed plastic surgery procedures, breast augmentation has proven to satisfy millions of women wishing to regain or restore balance to their figures. A facelift is one of the most successful approaches to treating facial aging including wrinkles and sagging. 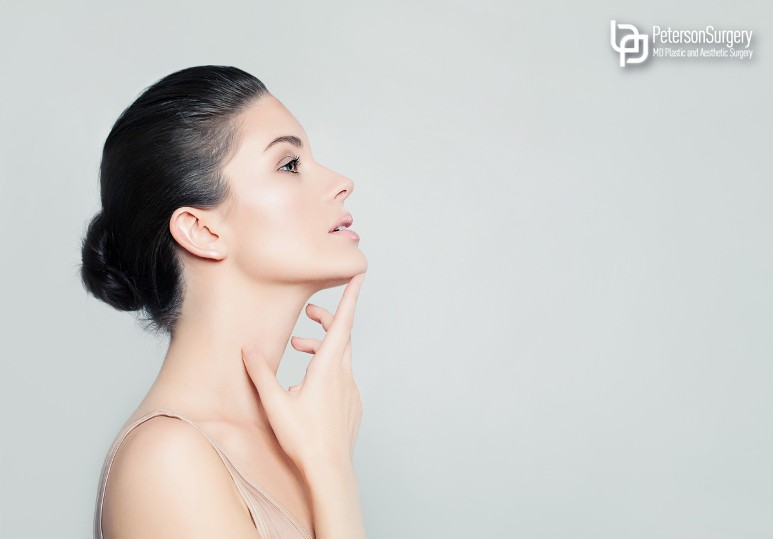 This plastic surgery procedure works by removing excess skin, tightening underlying tissues and muscles, while redraping the skin on your face and neck. This safe and effective procedure helps both men and women restore a bright and youthful appearance that they can enjoy for many years to come. Liposuction is a surgical body contouring procedure which is used by plastic surgeons to eliminate unwanted pockets of fat from all areas of your body including arms, neck, back, thighs, hips and buttocks. Designed to remove diet and exercise-resistant fat, liposuction can often be combined with other plastic surgery procedures including an abdominoplasty, to help patients achieve their desired shape. Upper eyelid excess skin and fat can often create a heavy looking eyelid, an aged appearance, puffiness and, in some cases, block vision. Eyelid surgery is designed to remove the excess skin and fat, thereby improving the appearance of your eyelids as well as your field of vision. When performed by a board-certified plastic surgeon, an eyelid surgery is a safe and effective way of removing any excess skin and/or fat on the eyelids for a more alert, brighter and youthful appearance. In today’s fast paced world, with patients wanting to look and feel their very best, many people do not have time to undergo extensive plastic surgery and the subsequent recovery periods. That’s why more and more Kelowna patients are opting for non-surgical cosmetic treatments. Less invasive than surgical procedures, non-surgical cosmetic treatments such as Botox and dermal fillers are often recommended by plastic surgeons because they don’t require surgical incisions or general anesthesia and can be carried out with minimal interruption to your day-to-day life. Want to find out if non-surgical cosmetic treatments can help you achieve your aesthetic goals? To find out more about the costs & benefits of our surgical & non-surgical cosmetic procedures, contact our Kelowna plastic surgeon today at 250-868-9099 or fill out our online contact form.